Over the past 40 yrs the Huber Family has built their auto repair and auto sales business on principles that provide an honest painless vehicle servicing or purchasing experience, while not sacrificing quality and affordability. DON'T PAY DEALER LABOR PRICES!! Many new car dealers have to charge $100 an hour to make a profit. We work hard to be an affordable new car dealer alternative, offering Quality service at a fraction of the cost. 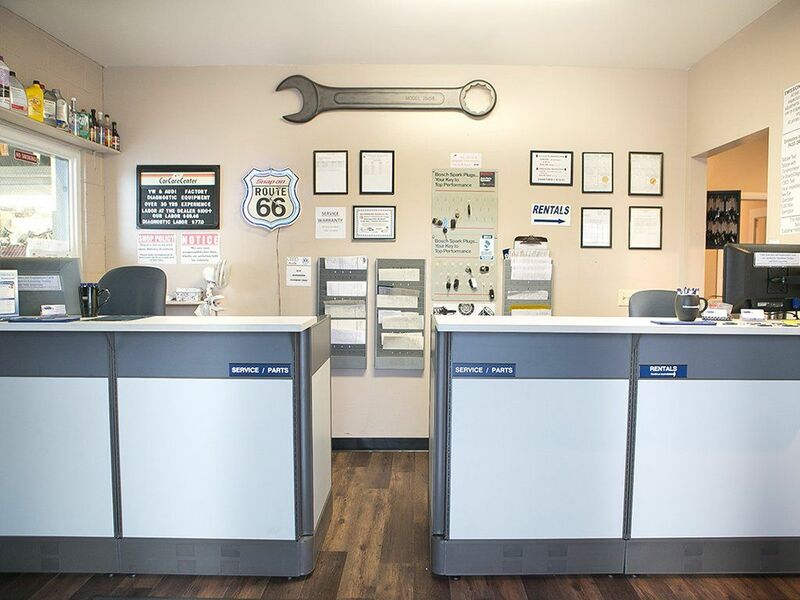 Our low overhead, and experience mechanics, have saved many of our loyal customers thousands over the years. We have factory scan tools, and the latest computers and information services for Diagnostic, and programming that wouldn't waste your time or money. DON’T PAY LIST PRICE FOR PARTS!! Our large inventory of parts are sourced so we can skip the middle man, resulting in big savings off the dealer’s list price. We use hi-grade German parts such as Bosch, Sachs, Mann, and Boge, often upgrading components to a higher performance standard. We also use high quality turbo formulated Synthetic oil in all Turbo and Diesel engines as recommended by the manufacturer. We work on all makes and models, Foreign and Domestic, but continue to specialize in European cars, offering, Volkswagen service, Audi service, BMW service, Mini Cooper service, Mercedes Benz service and Volvo service. To better serve our community we have expanded to also include import and domestic car and truck servicing Acura, Buick, Cadillac, Chevrolet, Chrysler, Daimler Chrysler, Dodge, Ferrari, Fiat, General Motors, Geo, GMC, Honda, Hummer, Hyundai, Infiniti, Isuzu, Jaguar, Jeep, Kia, Lamborghini, Land Rover, Lexus, Lincoln, Lotus, Maserati, Maybach, Mazda, McLaren, Mercedes-Benz, Mercury, Mini, Mitsubishi, Nissan, Oldsmobile, Plymouth, Pontiac, Porsche, Rolls-Royce, Rover, Saab, Saturn, Scion, Skoda, Subaru, Suzuki, Toyota, Triumph, and more. 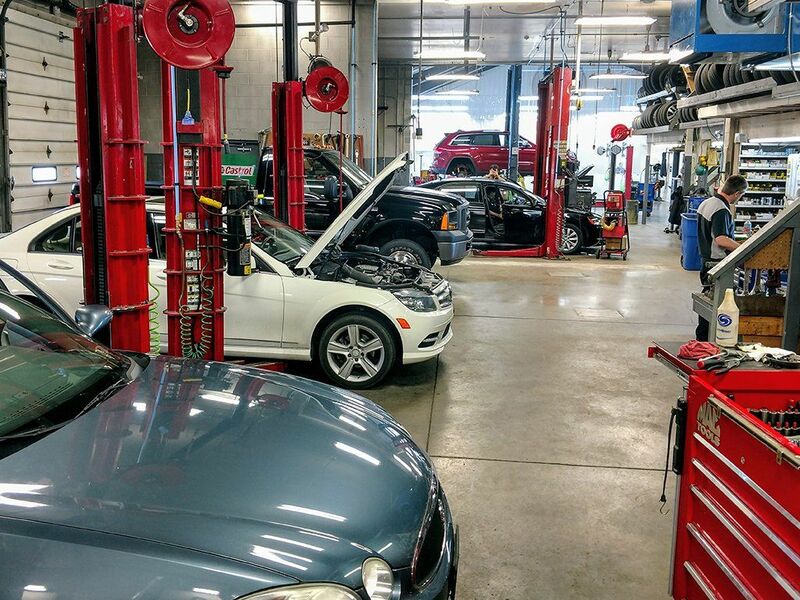 Our experienced technicians can take care of whatever auto repair you need. NO UPSELL, JUST HONEST RECOMMENDATIONS!! Wikipedia defines upselling as: “a sales technique whereby a seller induces the customer to purchase more expensive items, upgrades, or other add-ons in an attempt to make a more profitable sale” Here at Huber’s we will not bait you with gimmick priced oil changes or “Cheap” inspections. We also will not try to sell you repairs and services you don’t need. Our goal is create a system of fairness and transparency where there is a fair exchange of services. Our technicians are not paid flat rate, and are trained to only recommend repairs that you need. We believe it is our job to provide services that will help you with the preventive maintenance on your car. We don’t want to see you ever break down, so we will only recommend things we would do to our own car. Already a service customer? 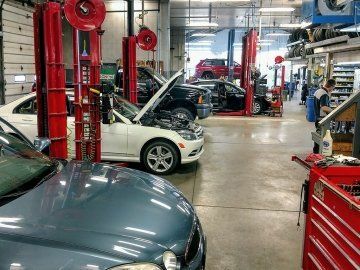 Check out OwnerAutoSite.com for service history, recommendations, and informative videos to help you understand your car. Contact us for your first time user access code. Ask about our service customer discounts on rentals!! We duplicate, cut and program keys for Volkswagen key replacement! Water Pump replacement and much, much more!